Missing boldly dramatizes a piece of history and holds accountable the members of government who betrayed their own people. This week’s screening of Missing comes only a month after the fortieth anniversary of the disappearance of the film’s subject, Charles Horman. Horman, an American journalist, went missing during the chaos of the 1973 Chilean coup d’état led by General Augusto Pinochet that ousted then-President Salvador Allende from power. Missing dramatizes the events leading up to Charles’s disappearance and the aftermath in which Charles’s wife, Beth (Spacek), and his father, Ed (Lemmon), search for answers amidst the rubble. “What kind of a world is this?” Ed asks as he and Beth find themselves exhausted with the mess through which they have sifted during their search. It’s ambiguous whether Ed decries the political turmoil of Chile or the ordered chaos of his home nation. Upon entering Chile, Ed finds himself entangled in the same mess of bureaucratic red tape that Beth has been fighting in the two weeks following Charles’s disappearance. Although Charles is American, the stuffy suits at the American Consulate exert little effort in finding him. The American diplomats bandy about theories that teeter upon a game of blaming the victim and they greet any tangible lead that Beth or Ed finds with apathy and indifference. Stalls and false starts make the search for Charles an exhausting tease. 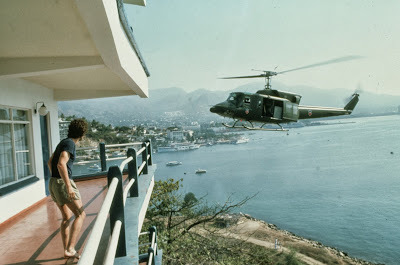 Ed and Beth learn that Charles and his friend, Terry (Melanie Mayron), had stumbled upon American military officers who brazenly alluded to the purpose of their presence in sunny Chile. Missing, like the book by Thomas Hauser on which it is based, alleges that the American government played a key role in enabling and executing the coup that saw a countless toll of innocent victims. People like Charles Horman were just collateral damage in preserving a way of life. Missing, released nearly ten years after the events it depicts, has a great benefit of hindsight. The film plays not merely as pure reportage, but as an encapsulation of thrilling events that convey a sense of being there in the moment in which the drama exploded; additionally, the story unfolds as a thoughtful thesis. Directed with evocative realism and a delicate hand for symbolism—the image of a white gunned down in the streets is haunting—Missing both honours and furthers the hole in which Charles, Ed, and Beth fall. Costa-Gavras and co-writer Donald Sutherland intuitively create a portrait of Chile that is an absolute mess of violence, corruption, and deceit. The South American nation comes off more favourably than the North American one from which the disappeared ex-pat went missing, though, for the film refuses to let the American government push the blame onto the nation dealing with the mess they created. The cost of the battle is high, though, as Missing delicately conveys with the crumbling of Ed’s faith that results from his discoveries while looking into his son’s disappearance. Ed is a proud, devoted American and a deeply religious man. He has lived his life by the Book before jetting into Chile to clean up what he thought was a mess created by his own son. Ed’s first reunion with Beth is more of an altercation: little warmth can be felt between the two as Ed hastens to suggest that Charles’s disappearance was a consequence of his and Beth’s refusal to live a modest conformist life within America’s upper class. The American way of life is perhaps the ultimate villain in this unnerving tale. Ed eventually comes to see his own culpability in his son’s disappearance. Ed, noting his disdain for the indifferent niceties he sees in the American bureaucrats, realizes that Charles’s absence might have resulted from Ed’s own failure to respond to his son’s restlessness with American ideology. Ed learns too late that one cannot report that all is nice when it is evidently not. Missing offers a fine allegorical equivalent to this wholly superficial semblance of American normalcy in the symbol of the Consulate’s meticulously landscaped garden that Ed notes is sadly void of human activity. The garden, walled safely from the violence in the streets, is a tidy and orderly microcosm for the self-serving façade that shakes Ed to the core. 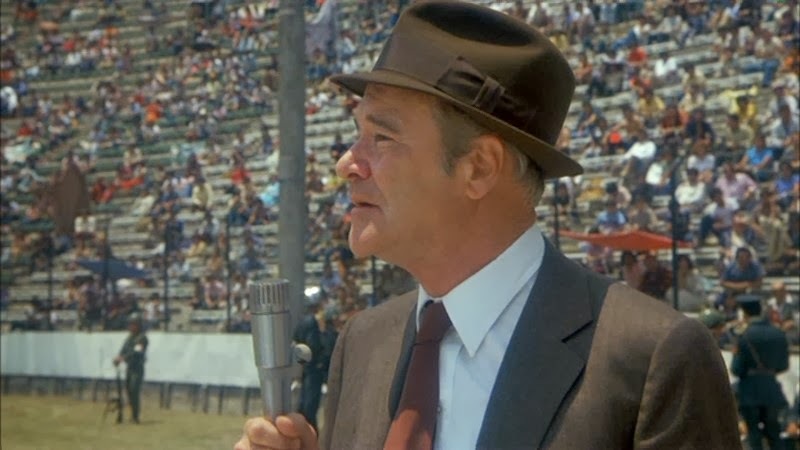 Lemmon’s turn as Ed marks one of the best performances of his career. Missing gives Lemmon a disarming dramatic range as he slowly erodes the protective barrier that Ed has built to preserve his way of life. When Ed pleads for answers—any results be they positive or negative—Lemmon conveys the devastation that occurs when one values arbitrary social structures and veneers over the tangible human needs that are far more urgent, and can be met far more easily when the tape is removed. Spacek is equally fine as Beth. She provides an emotional counterpoint to Lemmon’s stodgy Ed, playing a young American woman who remains idealistic yet pragmatic because she is willing to see the corruption to which her father-in-law is so willfully blind. 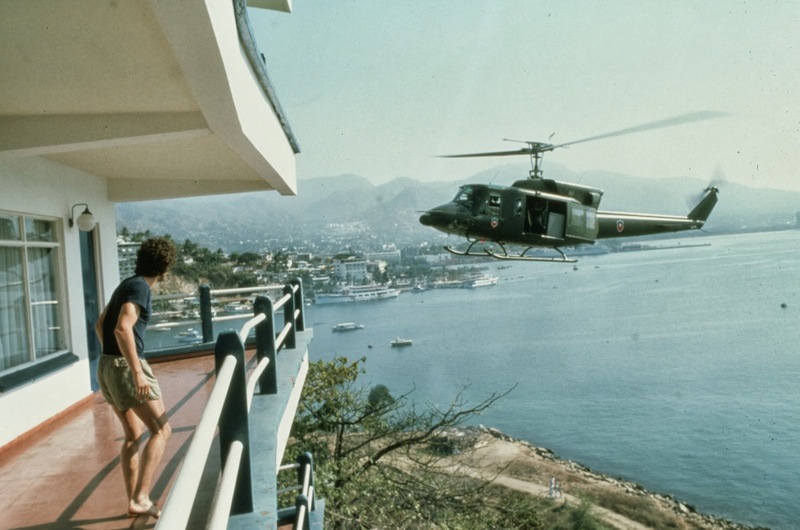 Costa-Gavras’ excellent Missing remains a textbook example for dramatizing a tale ripped from the headlines. Missing not only provides a fine theoretical account of the events that unfolded, but it offers a dramatic rendering that embellishes the ambiguities in the story, thus using the relatable human elements to convey a tale that feels urgent both to the specificity of the historical event and to the universality of the details that make the story so compelling. The film draws attention to its own provocative interpretation of history in the notable title cards that introduce the film: names have been altered to protect real people, Lemmon notes in voiceover, as well as to protect the film itself. The film remains daringly relevant thirty years after its production. Missing could easily be a story told today. *I usually don't give star ratings to classics, but this is one film you'll want to see. Missing screens: Thursday, Oct. 24 at the Alumni Auditorium at the Jock Turcot Univeristy Centre, University of Ottawa (85 University St.) at 6:30 pm.